Thank you for participating in our first challenge. We really enjoyed seeing the cards and scrapbook pages everyone has designed. You ladies are very talented! We have all the submissions for the July Challenge. We are looking them over and everyone at Great Impressions is trying to decide which one the winner will be. 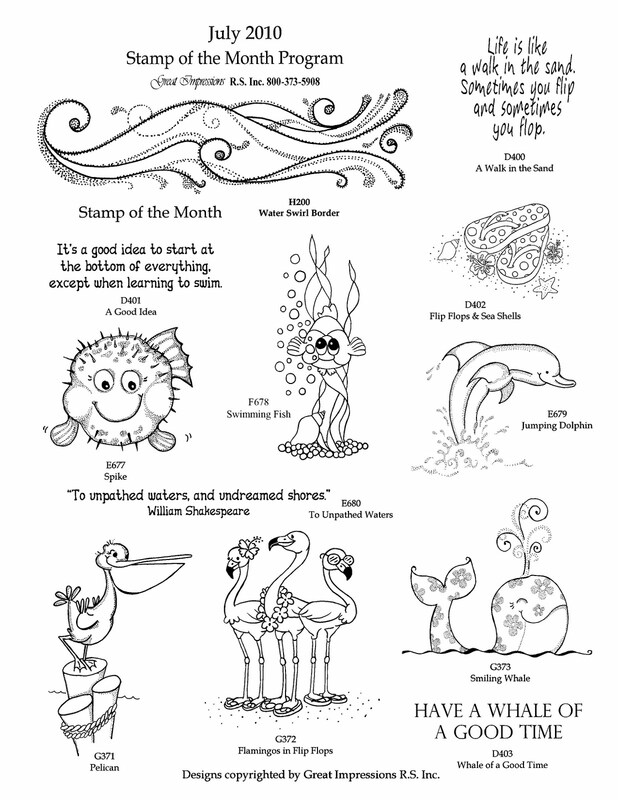 One lucky person will be receiving the entire set of the stamps from the stamp of the month collection from August. August's challenge will begin on the first of the month. 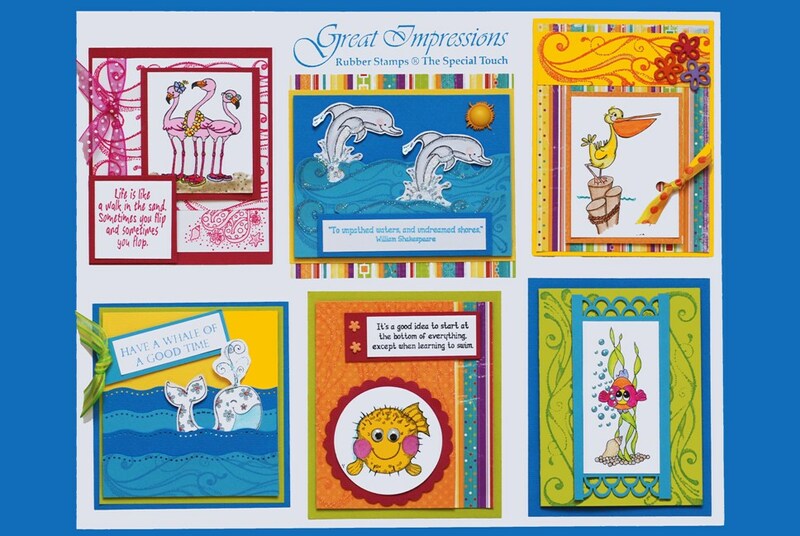 The prize for this challenge will be a set of Septembers stamps from the program. Sooo........ if you really like Halloween stamps...... make sure you submit a card for Augusts challenge. I have seen a peak of the designs and they are way too cute!!! 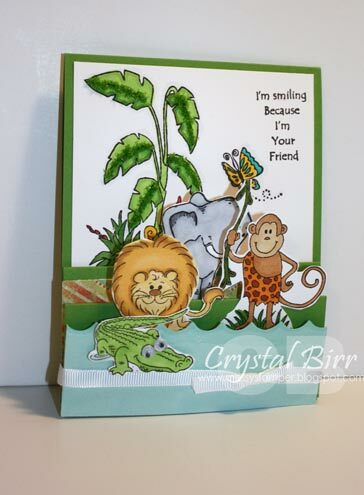 Also if you have cards you would like to share feel free to link your blog to ours using the link button on the right side of our page. Crystal from C-Shore Creations sent us this awesome card showing stamps from the Jungle board. This is so cute!!!! 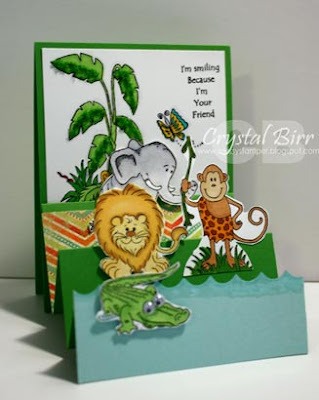 Click HERE to check out Crystals blog and see more of her cards that she has made. Awesome job Crystal!!!! Tammy from Toyrifix has done another awesome remake of the July board!!! Tammy from Toyrifix has done an amazing remake of our July Stamp of the Month Program. 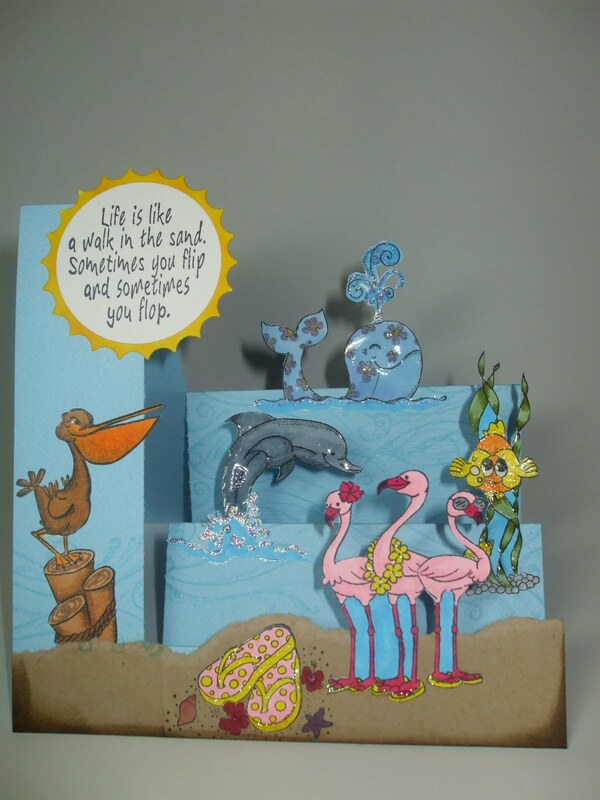 We just love seeing the different ideas and our customers come up with. This board is just too cute!!! 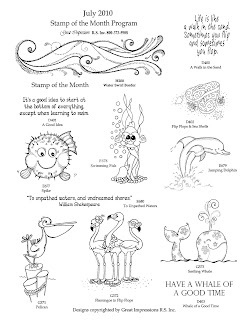 This Month is the first month for our Stamp of the Month Challenge. 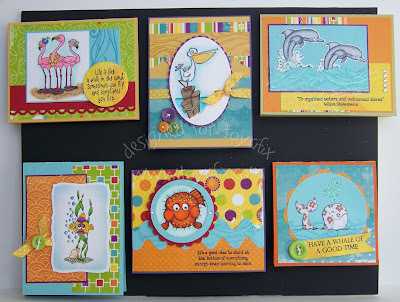 As you all know each month we design display boards with 6 cards using each of the stamps. 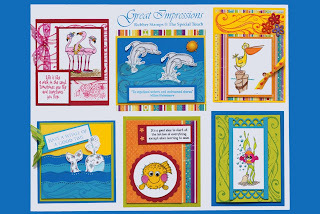 Now it is your turn to make a card or a scrapbook page using the Stamp of the Month and any of the coordinating stamps that go with at program, (you must use at least one coordinating stamp). I cant wait to see what you come up with. HOW EXCITING THIS IS GOING TO BE!!!! Contest rules will be posted on the right side of the blog at all times. As soon as we get cards coming in I will start posting them as a slide show. Enjoy!